A leading Peterborough city councillor has stepped down as a cabinet member after announcing she will not stand for re-election next year. 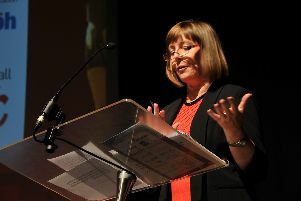 Councillor Sheila Scott OBE has stepped down as cabinet member for children’s services at Peterborough City Council. Becoming ward councillor for Orton with Hampton in 2004 Councillor Scott has been part of the Cabinet since 2008. Cllr Scott said: “Being a councillor has been one of the most rewarding and challenging chapters of my life. It’s now the right time to step down from Cabinet in order to spend my last few months as a councillor helping the residents of Orton with Hampton. “Earlier this year I oversaw the appointment of a new management team to continue to take Children’s Services forward and I believe, as does the Leader, it is therefore time for a change at Cabinet level as well. “I would like to pay tribute to the hard work and professionalism demonstrated by the department’s staff and social workers who deal with difficult situations on a daily basis. This dedication was highlighted by the work they carried out, alongside our police colleagues, to protect children and young people in this city against child sexual exploitation. Our proactive approach during Operation Erle led to the conviction of 10 vicious and despicable criminals putting them in prison for a total of 114 years. “By stepping down now, rather than remaining on until I leave the council, it allows for an effective handover to the new cabinet member giving them the summer break to get up to speed with the challenges our service faces. A key priority must be the recruitment and retention of social workers, like many other authorities in the UK, I am keen for the government to get more involved to better support councils in this area. “I wish to thank the Leader, the chief executive and the corporate director and her management team for their support. Most of all I would like to thank the social workers and staff of the department for their devotion in supporting and protecting children and young people in Peterborough. Councillor Scott is replaced by Councillor Andy Coles who represents Bretton South ward. Councillor Coles spent 30 years with the Metropolitan Police working in counter terrorism where he advised ministers on the radicalisation of young people in schools. He also spent time working closely with local authorities on difficult and complicated child protection matters. Since moving to Peterborough, Councillor Coles has become chair of the West Town Community Association as well as chair of Community Action Peterborough which is a community umbrella organisation that represents community associations across the city. He is chair of Families First Peterborough which provides open access play for children in deprived areas and also provides targeted work with some of the most challenging primary age children in the city who have been excluded or are at risk of permanent exclusion from school and who have complex needs. He is also a school trustee and governor. Councillor John Holdich, Leader of Peterborough City Council, said: “Sheila has been a devoted cabinet member looking after one of the city’s most challenging portfolios and I would like to thank her personally for her years of service. I am confident that in Andy we have a very capable cabinet member who will continue to drive improvements and ensure that we protecting and supporting the most vulnerable children in the city.